Prime Minister David Cameron has said Britain will not supply Ukraine with lethal weaponry in the fight against rebels in the East of the country, but UK troops will support Ukrainians with tactical intelligence, training and logistics. Speaking to the Liaison Select Committee, David Cameron said UK support would be given “well away from the area of conflict,” adding that the purpose of aid would be to improve Ukraine’s tactical advantage. He was further questioned on the capability of the UK to defend its airspace after RAF jets were scrambled to intercept Russian bombers last week for the second time in 2015. He said the Russians were probably trying to make “some sort of point,” but added that he didn’t know what that point was. 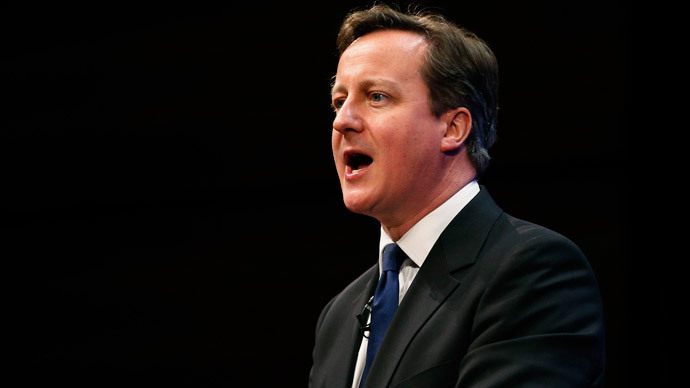 Cameron said Britain should be confident in its defensive strengths against Russia. EU and US leaders accuse Russia of supporting the militias in Donbass. The claims have been repeatedly denied by Russian officials. He added that should Russian President Vladimir Putin risk destabilizing the Baltic states with a cyber-attack, or similar, he would risk confrontation with NATO. “We are committed to their collective defense,” Cameron said, but he did not give an indication of what a “red line” might be, in terms of intervention. He said the UK must continue to work with Russia on matters other than Ukraine, despite the country not “behaving like a strategic partner to Europe,” saying it was important to join efforts to stop Iran acquiring nuclear weapons. The Prime Minister, however, also advocated deeper sanctions against Russia, adding that the Baltic States and Poland were likely to agree. Cameron’s actions go against those of French and German leaders Hollande and Merkel who are pushing for a peaceful and diplomatic solution to the conflict. The leaders orchestrated the Minsk peace talks, where a ceasefire was agreed, though there have been reports of continued clashes since the deal was reached. Last week the United Nations Security Council voted unanimously to approve a Russian-drafted resolution to support the Minsk agreements, reached by the leaders of France, Germany, Russia and Ukraine. The resolution was submitted to the UNSC by Russia on February 13, a day after the Minsk deal was agreed. It is aimed at endorsing and executing the Minsk agreements. The document also expresses concern over the continuing violence in eastern Ukraine, and stresses the importance of resolving the conflict peacefully. “After the unprecedented diplomatic efforts last week, Ukraine has a chance to turn a dramatic page in its history,” said Russia’s UN envoy Vitaly Churkin, who expressed “gratitude” towards the other parties for endorsing the document. It was revealed in early February the US is considering sending arms to Ukraine. Cameron is facing a general election on May 7. His tough stance on international tensions between Russia and the West is informed with this in mind.